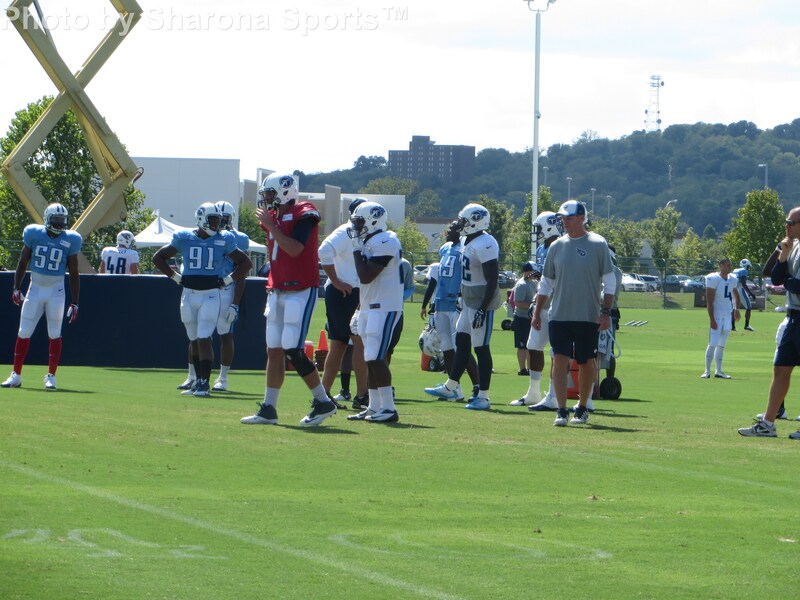 The Tennessee Titans held their final open training camp practice today at St. Thomas Sports Park in Nashville, Tennessee in full pads and things got a bit chippy. Fan turnout was pretty good and they got a show as the trash talk and tempers flew. 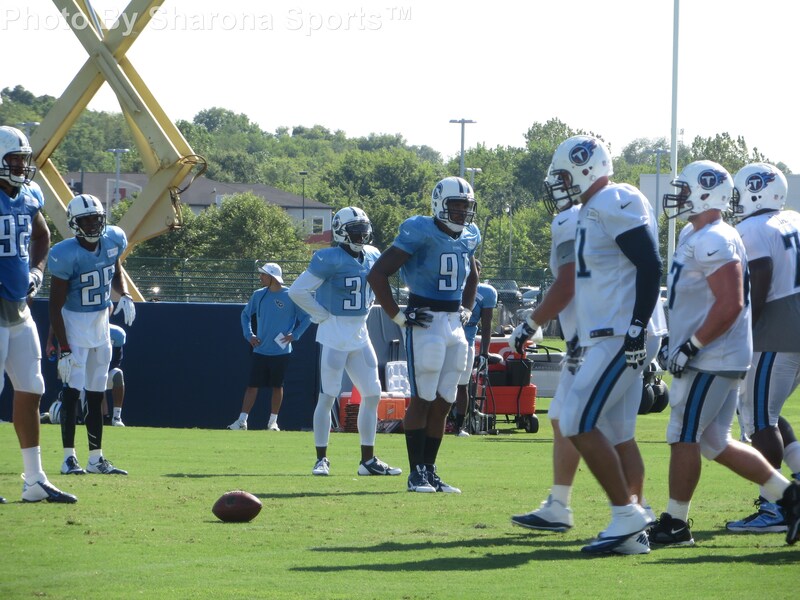 The Titans will travel to New Orleans to face the Saints on Friday night in their second pre-season game. The offense had a much better day today with the exception of Jackie Battle. One thing I did notice yesterday was how shifty and fast Leon Washington still runs. He is getting a lot of work with the threes and fours at running. While we may not see that in a game it’s nice to know he can possibly get the job done if need be. 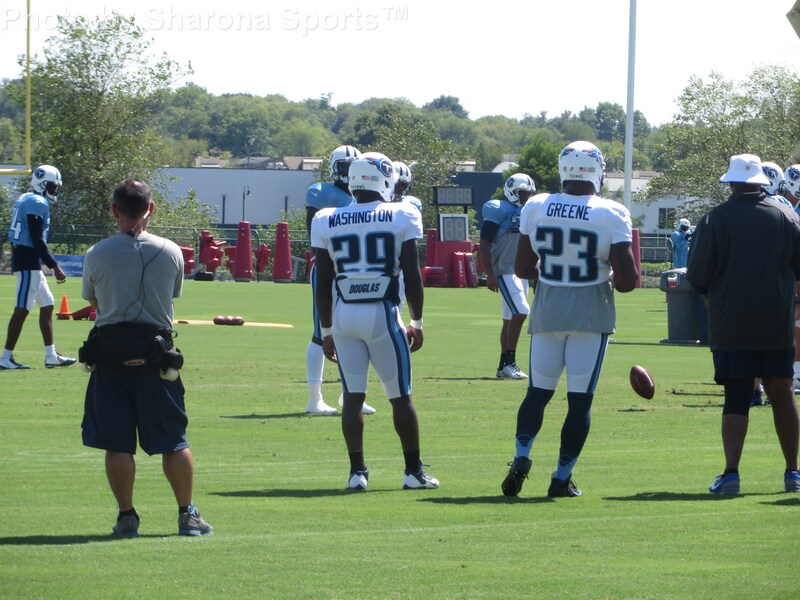 Shonn Greene continues to have a very good training camp and it appears the Titans will have a 3 headed monster in the backfield. I don’t recall Sankey fumbling today but he wasn’t as good as he has been. 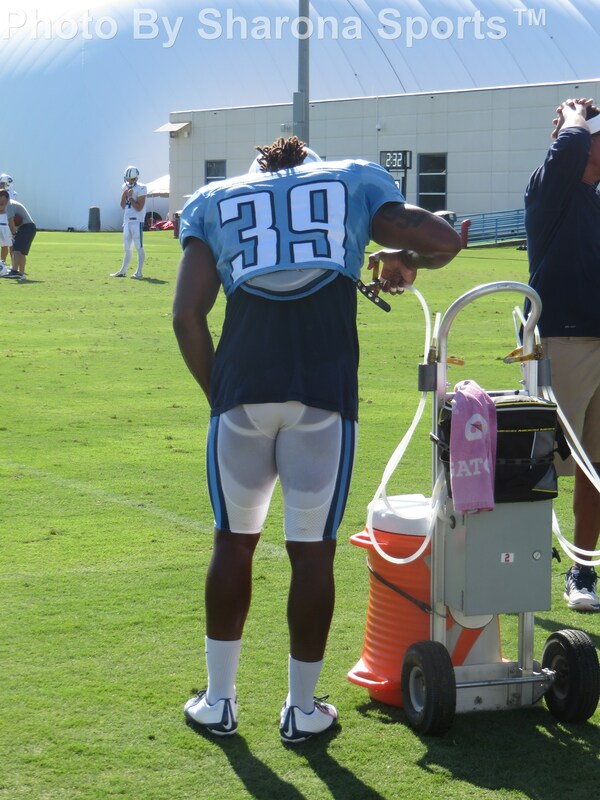 I suspect camp fatigue is setting in with the rookie running back. 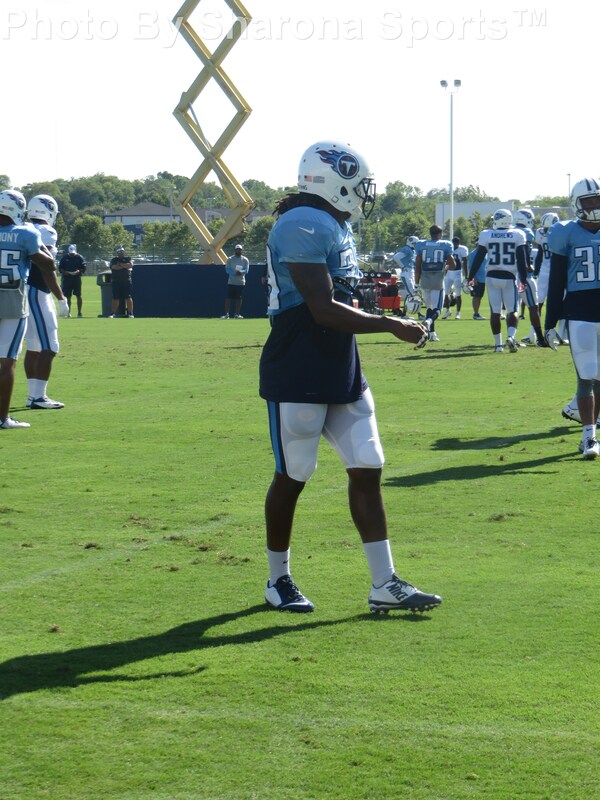 Speedster Dexter McCluster continues to line up everywhere and was catching punts as well as kickoff returns today. 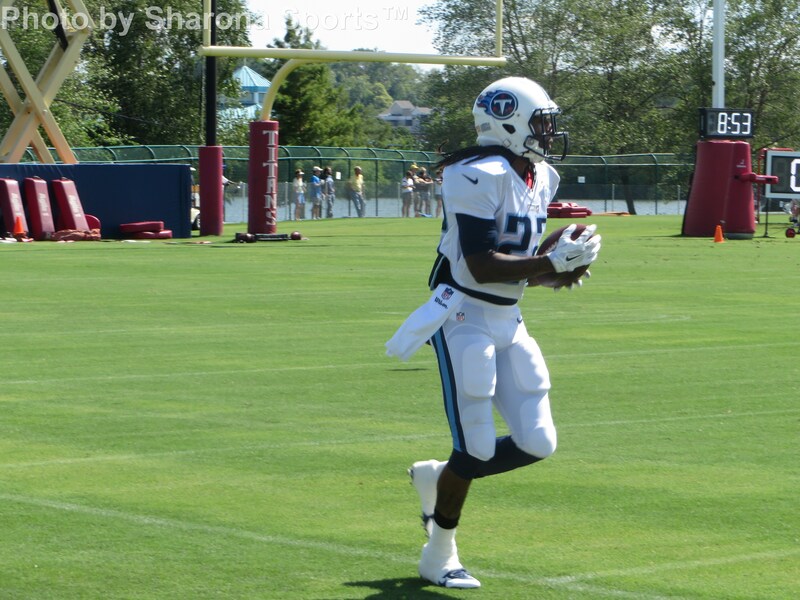 Nate Washington really stepped up in today’s practice and made several nice plays. 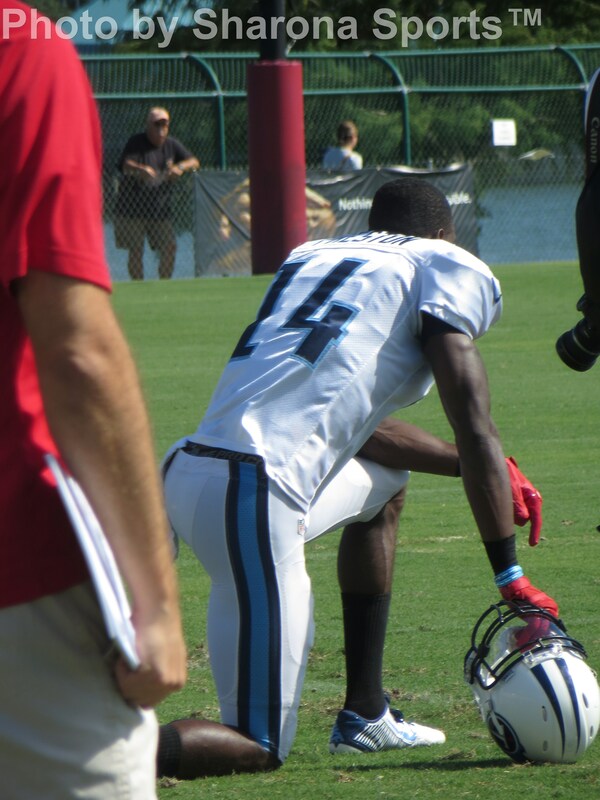 It was a bit of a rough day for Jason McCourty who gave up plays to Washington as well as a touchdown to Justin Hunter who put the swerve on him and zipped past for an open reception into the endzone. 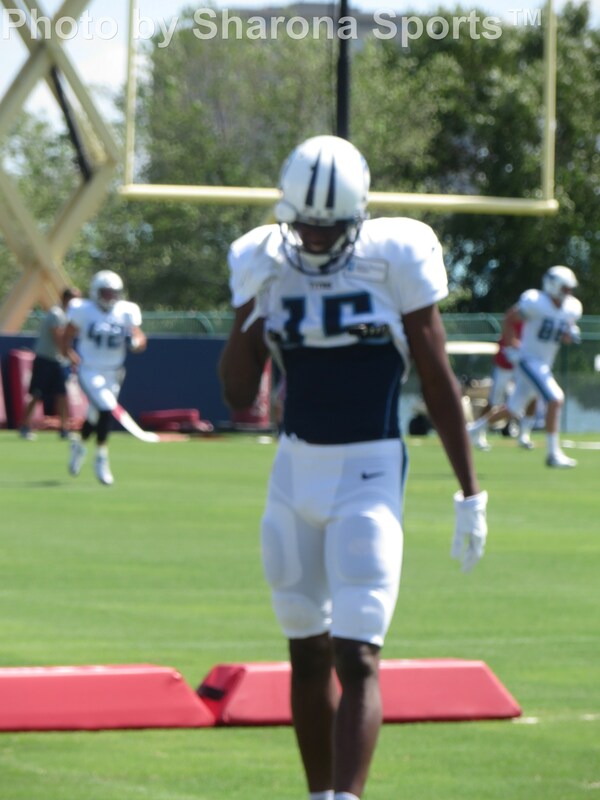 Michael Preston also continues to shine and is being used outside as well as the slot. He made a nice play out of the right slot position in redzone work for a touchdown. Overall a really nice day for the receivers after a rather lackluster Monday. Derek Hagan was back to making some clutch catches so the battle for that 5th wide receiver spot is still cooking. 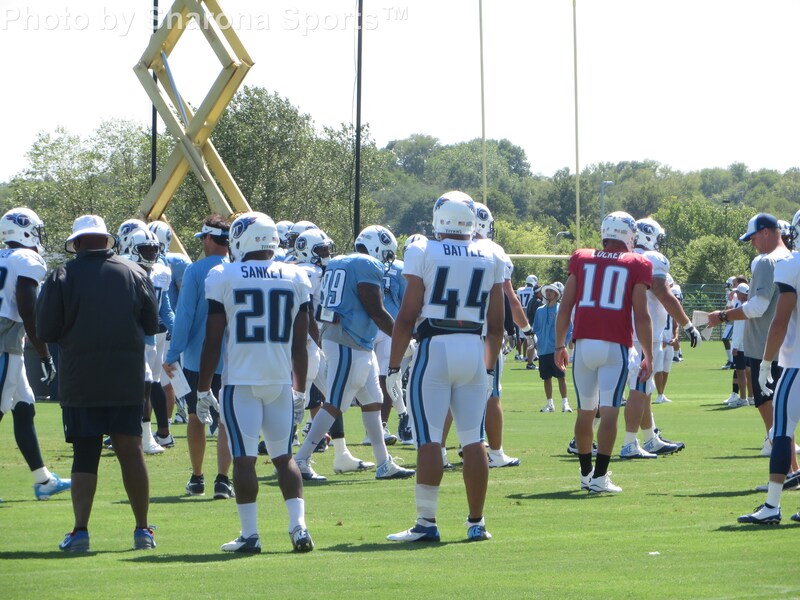 Kendall Wright made a very nice play over safety Michael Griffin. 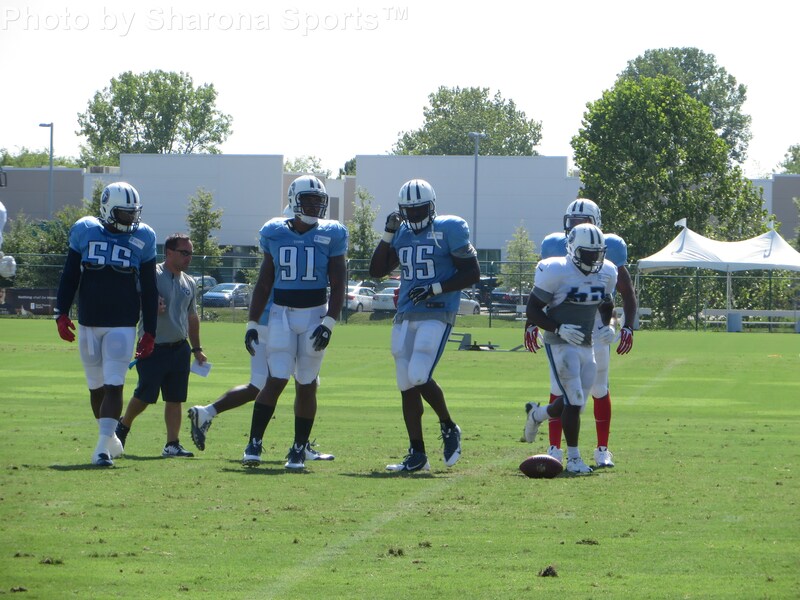 It was also a great practice for Titans tight end Delanie Walker. 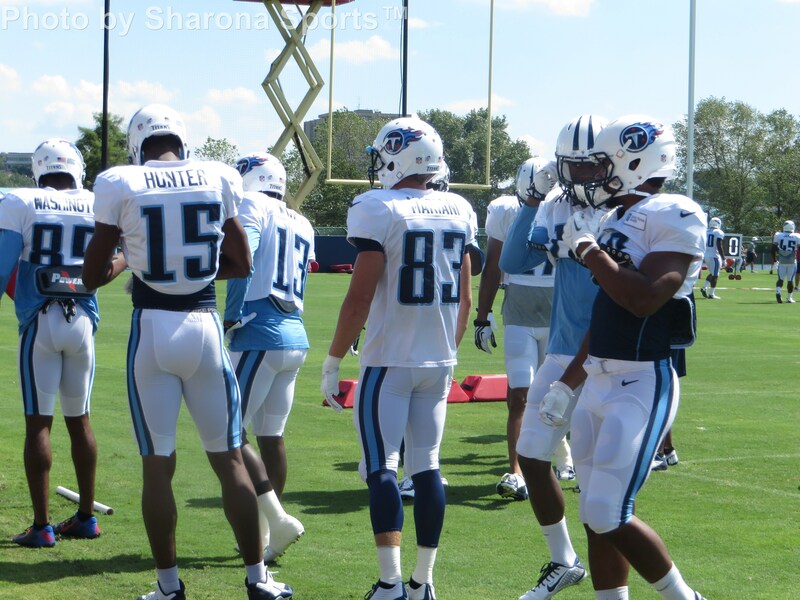 I didn’t see Walker drop a pass and he made several nice plays in the passing game. 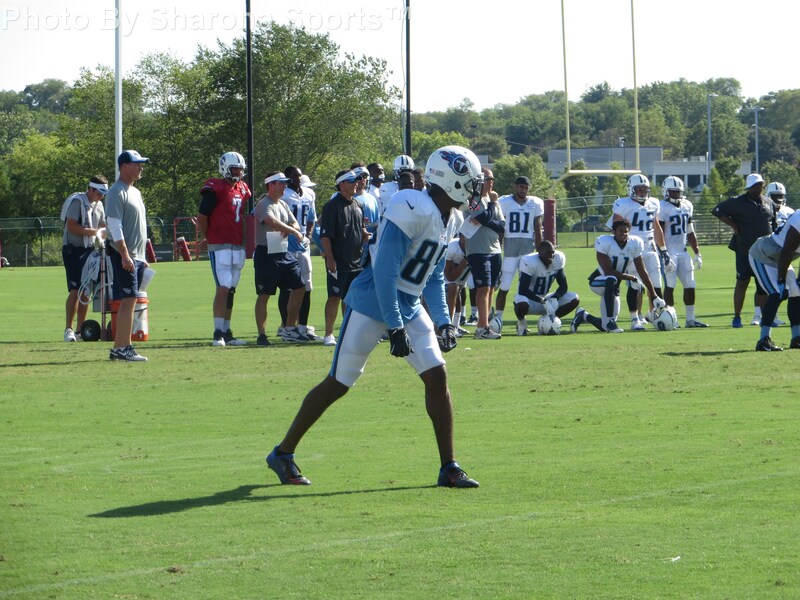 Look for the veteran tight end to have another great year in this revamped Titans offense. 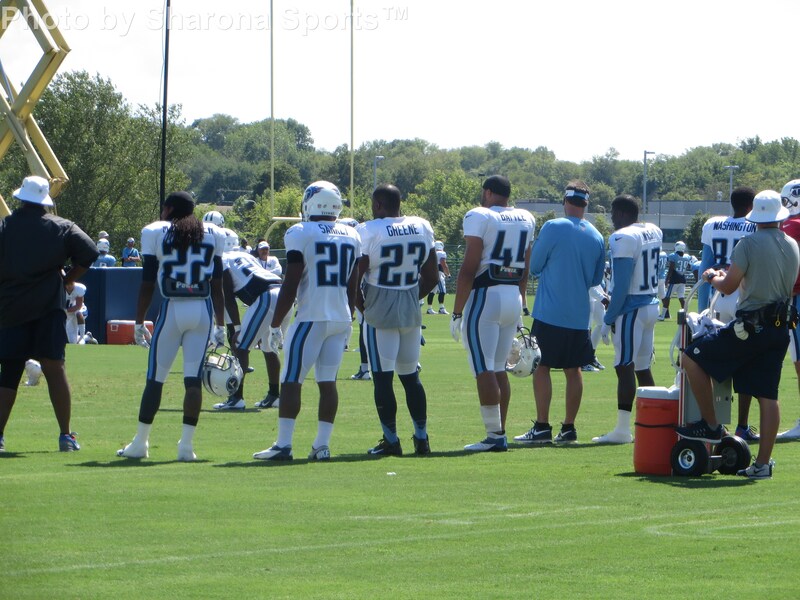 It bears repeating that head coach Ken Whisenhunt is a former tight end who knows how to use the position. 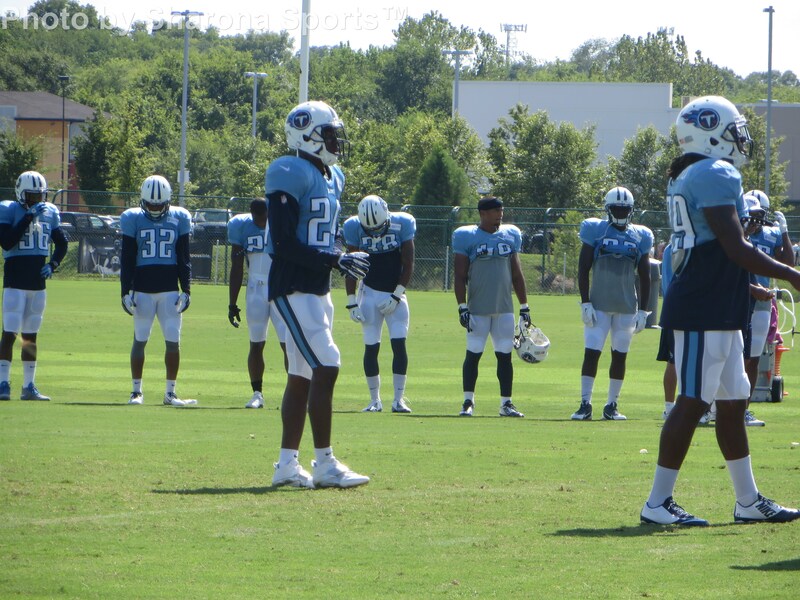 Speaking of the safeties, Daimion Stafford and Bernard Pollard were scrapping with offensive players yesterday. 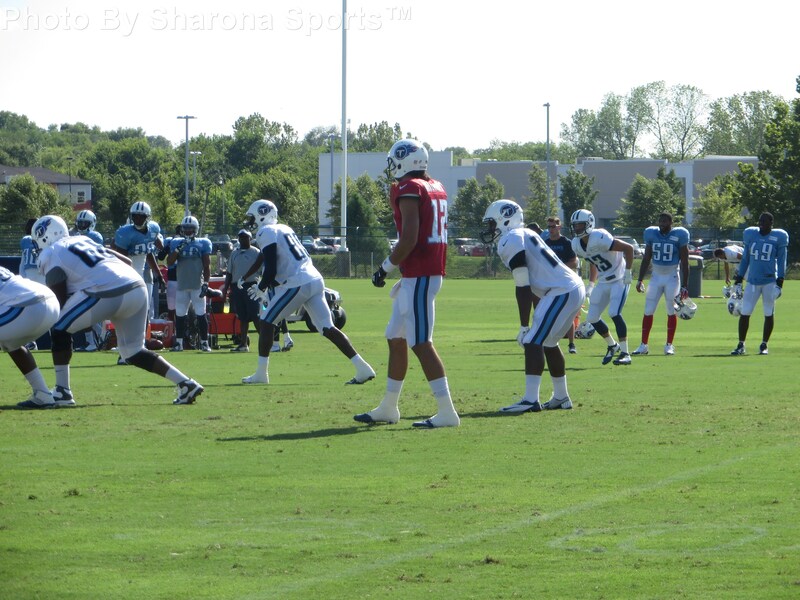 Leon Washington had some words for Stafford after he was a bit aggressive on a play. 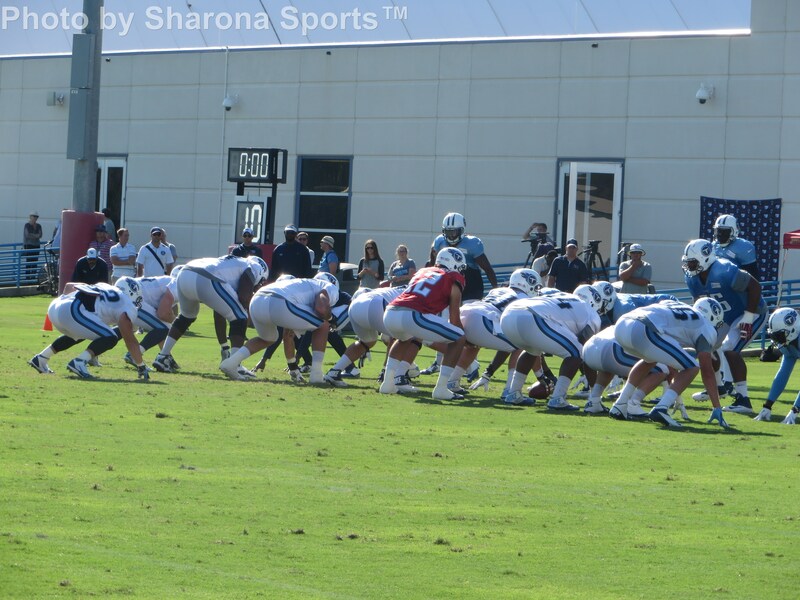 Stafford also scrapped a bit with receiver Mike Preston. 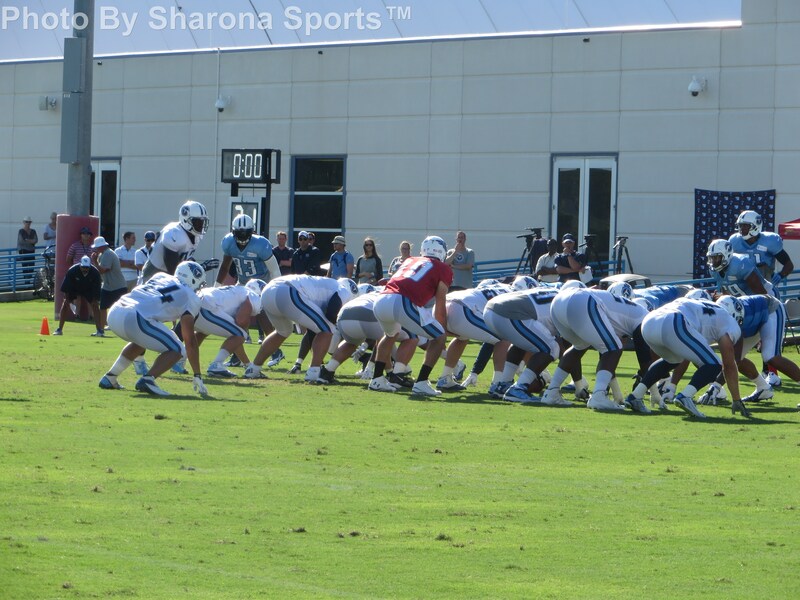 Stafford continues to have an excellent training camp and seems a lock to make the roster at this point. 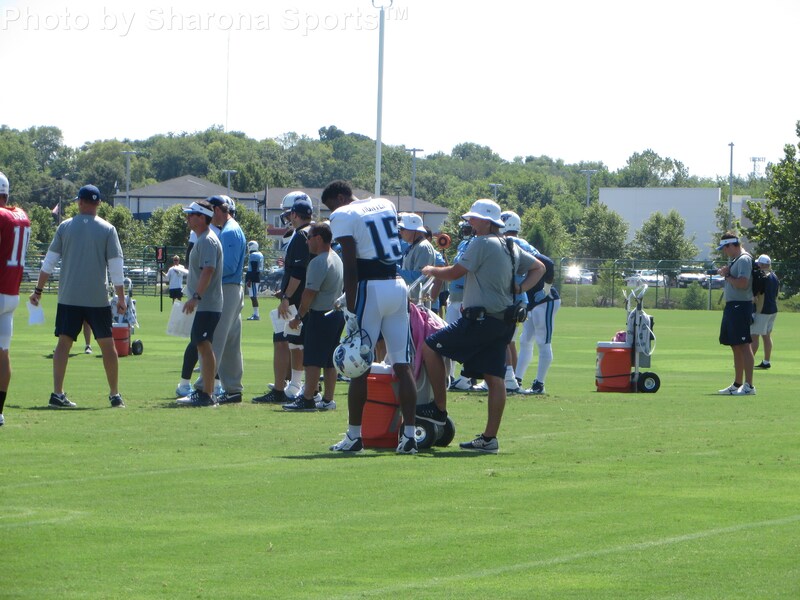 Pollard ended up sitting out a few plays after he scrapped with some teammates. 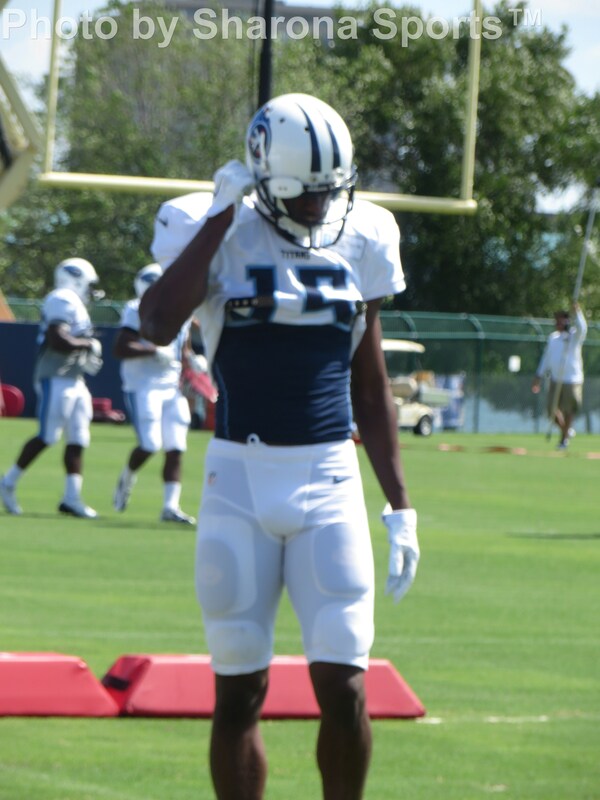 Always a vocal player in practice, Pollard has brought an attitude to this defense it surely needed. 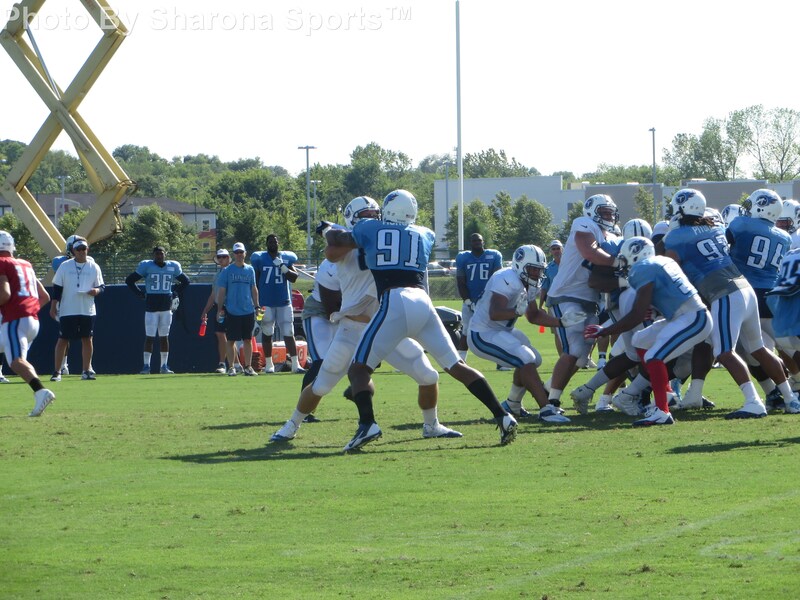 It wasn’t the only scrap of the day and rookie offensive lineman Taylor Lewan had to be separated too. None of this is cause for concern just the opposite. Some competitive spirit is good and the attitude is nice to see. This team hasn’t been tough enough in the past but that seems to be improving rapidly. 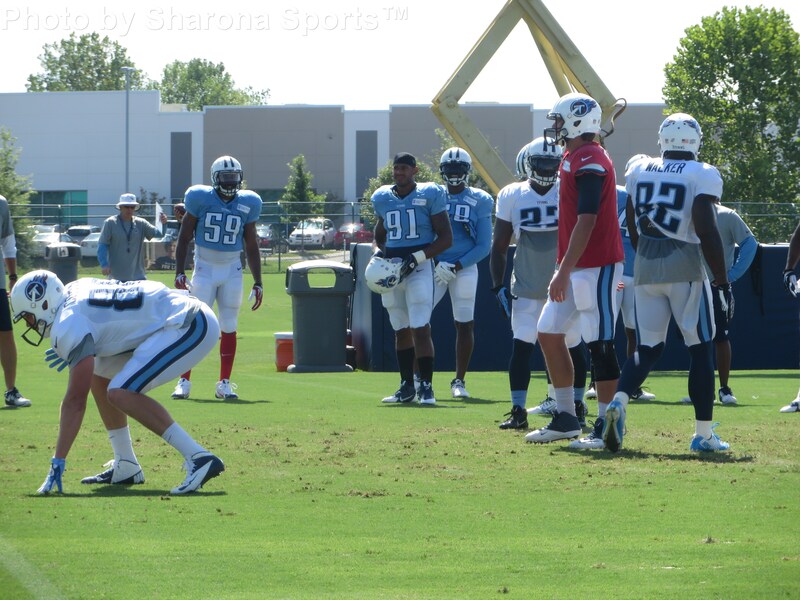 More on the defense and Derrick Morgan. I have talked a bit about Kam Wimbley’s improvement at outside linebacker but not enough about Morgan. Morgan had shown pass rushing ability at outside linebacker but I finally got a chance to see him drop into coverage this week. It was a bit of an area of concern but no longer. He looked very good. 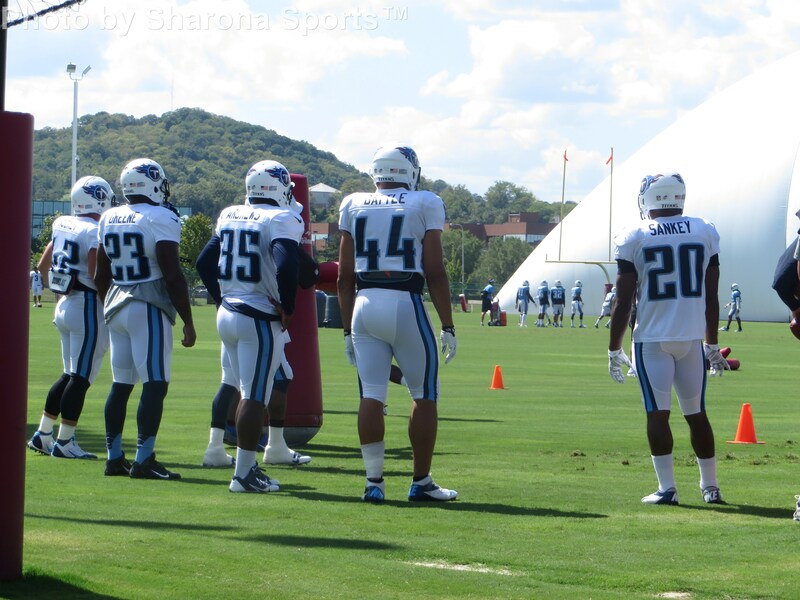 The Titans linebackers have a chance to be real difference makers this year. It’s about time. 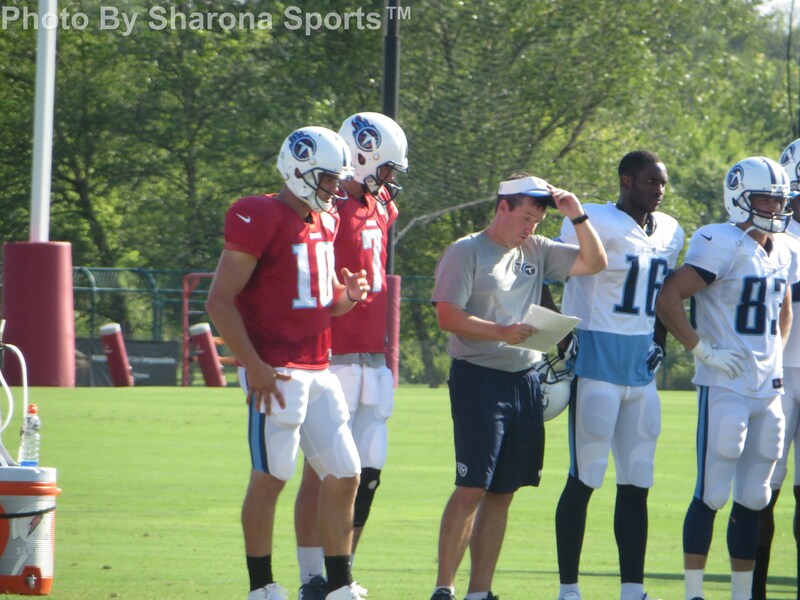 The quarterbacks had a rather nice day though there were some errant passes. 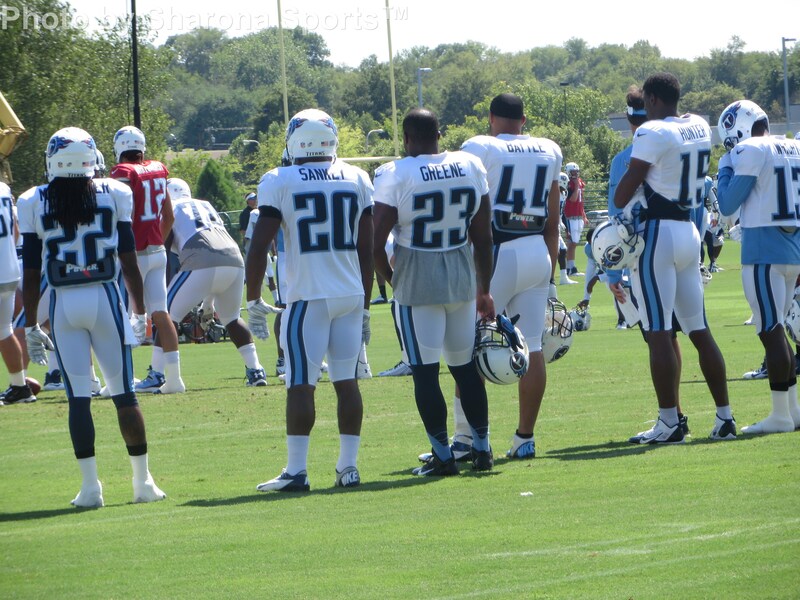 I feel a lot better about their backup situation than I did when training camp started. 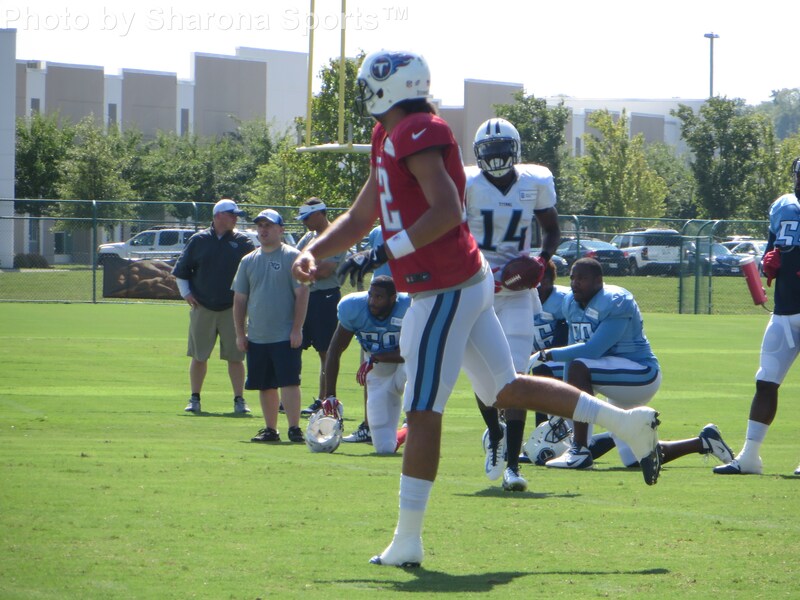 Locker continues to improve while Whitehurst is making plays and showing leadership ability. 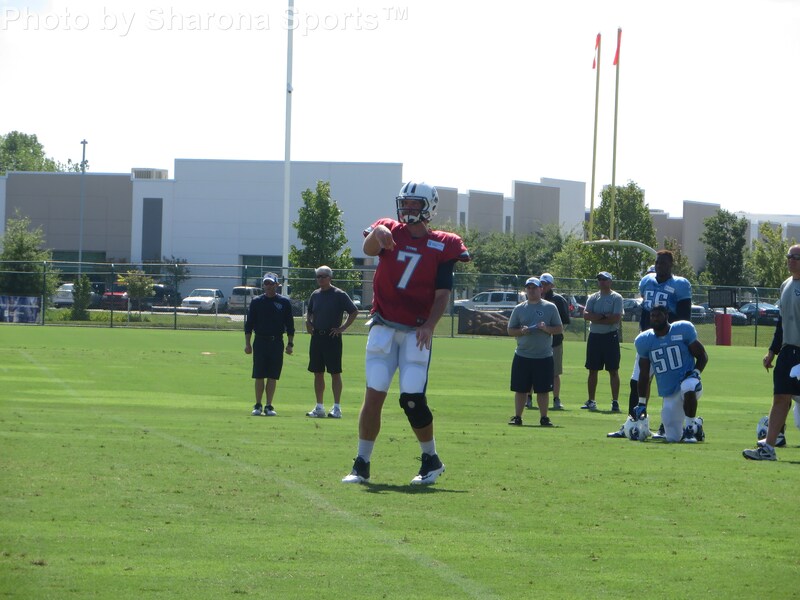 Rookie Zach Mettenberger has shown flashes of his big arm although yesterday his passes seemed to sail a bit on him. 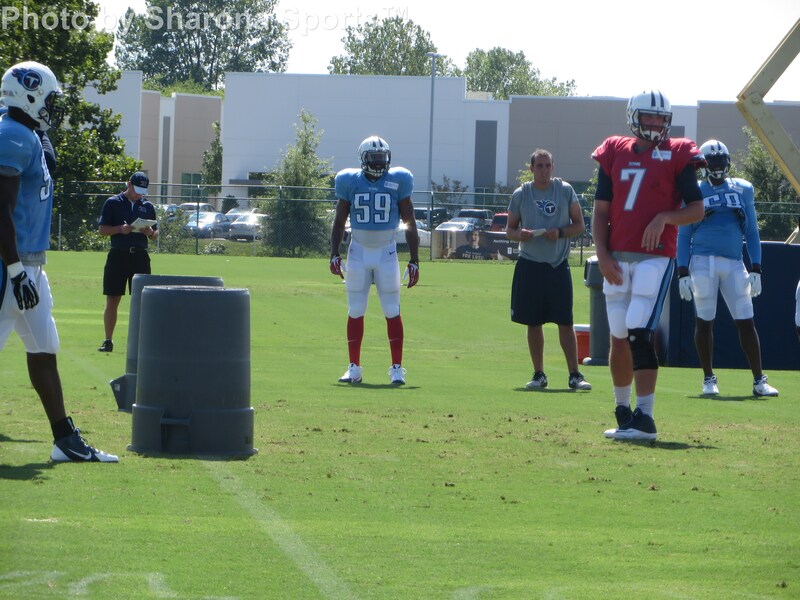 The Titans will surely carry 3 quarterbacks this year since they won’t risk trying to stash Mettenberger on the practice squad. 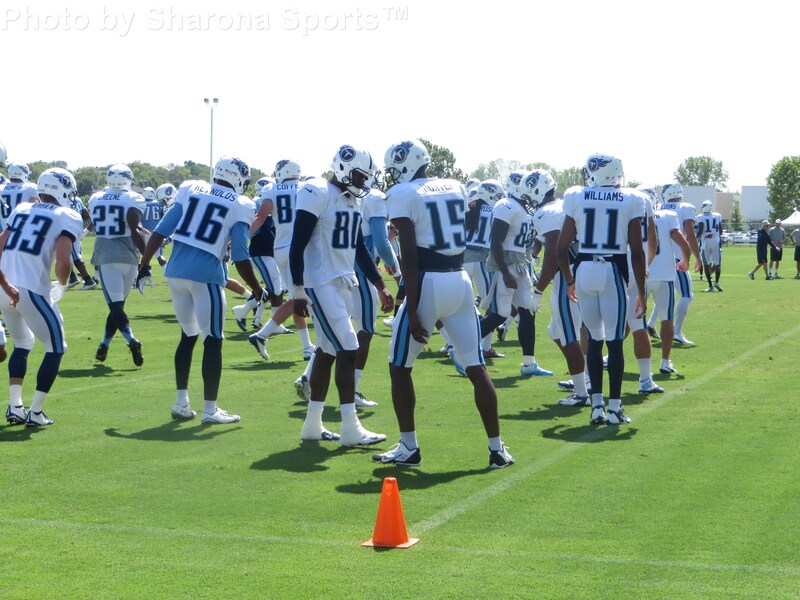 The Titans will hold a media only practice today at St. Thomas Sports Park beginning at 2:50 pm CST.